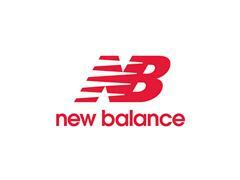 ~~Boston, MA - December 2015 – This fall, Boston-based New Balance will update the Vazee Rush with the New Balance Vazee Rush v2. Designed for those who seek to unleash their speed at the gym or on the road, the Vazee Rush v2 will launch in July 2016 with the suggested retail price of $89.95. The Vazee Rush v2 introduces a new midsole foam called Rapid Rebound - a high rebound foam designed to inject new levels of energy and comfort into performance products by providing substantially more rebound than New Balance's standard performance foams. With the addition of Rapid Rebound the Vazee Rush v2 midsole is crafted with an obsession to every flex and groove, providing swift, resilient cushioning mile after mile. The podular outsole, characteristic to the Vazee collection, continues with the Vazee Rush v2 maintaining the responsive, flexible control runners have come to rely on.